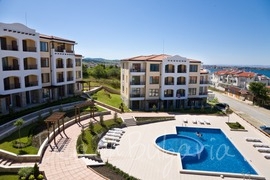 Serena Residence Hotel is situated 350 m from the Kavatsi beach and 3 km from the center of Sozopol resort. The hotel features 17 studios and 75 suites. Sunny hotel is located near the Harmanite beach, in Boudjaka area in Sozopol resort. The international airport of Bourgas is located at 30 minutes driving distance from the hotel. 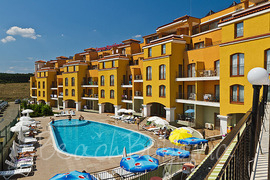 View Apartments Hotel is located in the Budjaka area, 2 km away from the central part of Sozopol resort and the Harmani beach – the largest one in the area. Kavatsi campsite is situated 3 km away from the hotel. 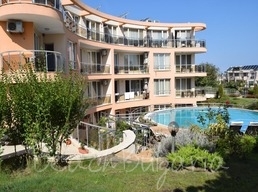 Villa Orange is located in Sozopol resort, 900 m from the city centre, close to the Paradise Bay. 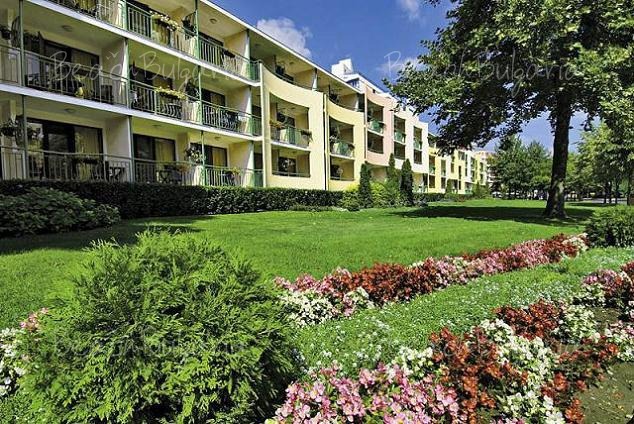 The complex is located in Dudjaka area, 100 from the beach, close to the Harmanite beach. Sozopol consists of an old part and new part of the town. The Old Town mainly offers romantic old houses for accommodation, whereas the new part of the town is full of hotels of different categories and prices, from small family hotels to luxury hotels, from bungalows to guest houses. Check out some of the recommended hotels available for online bookings: Saint Thomas Hotel, Blue Orange Complex, Martinez Hotel, Black Sea Paradise Hotel, Aparthotel Gardenia, Bay Apartments Hotel, Calisto Hotel, Casa del Mare hotel, Costa Bulgara Complex, Flagman hotel, Garden Beach Complex, Green Life Resort Complex, Panorama Bay Complex, etc. Check out the hotels in Sozopol, book online and contact us for more information.